From the Twitter account of Councilmember González. Fortunately into this void stepped people like Councilmember M. Lorena González, who led by example and started riding a bike from her West Seattle home to city hall, Cascade Bicycle Club who encouraged people to ride with support stations, and folks like my neighbor Robert Getch, a Beacon Hill Safe Streets volunteer who led bike trains from Southeast Seattle to downtown. We are left to wonder what the number would look like if the city had take the advice of the MASS coalition and used this as an opportunity to roll out additional emergency bike infrastructure (and transit lanes and stepped up pedestrian safety enforcement) and appealed to Seattleites to get out of their cars and onto their bikes. If people are curious about bike commuting, as studies have shown many are, this is the time and the city will support them by increasing safety for riders downtown. With the completion of NE 65th St and other planned projects such as the Eastlake protected bike lane and the center city bike network, it is easy to see significant portions of the city being connected by all-ages-and-abilities bike lanes in the next few years, and with it biking becoming a safe and climate-friendly option for more people. My hope is that South Seattle is not left out of this, as the draft bike network implementation plan shows. The City should prioritize safe, all-ages-and-abilities connections to the Rainier Valley, Beacon Hill, Georgetown, South Park, and West Seattle. Right now South Seattle–the most diverse area of the city–is probably the most difficult and dangerous area to bike in the city. Policymakers seem to forgot their racial equity lens when it comes to transportation. The overwhelming message that has come from these numbers is that as the City has built the bike network, albeit slowly and with major setbacks, the ridership has appeared as predicted. This only strengthens the case for doubling-down on our investments in safe and accessible bike infrastructure. A better, less auto-dependent city is possible, and if we build it, the people will come. Next articleWill a New Innovation Advisory Council Result in Seattle Adopting More Smart City Technologies? 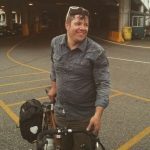 Patrick – any comprehensive studies done on the threshold of bicycle network infrastrcture and connectivity needed to start seeing ridership increases? I’m sure this varies between places based on many other variables (demographics, housing, employment locations, etc), but it would be nice to see what attempts have been made. And also other examples of cities (ie Minneapolis?) that have seen ridership increase after investment in bicycle infrastructure. Thx.